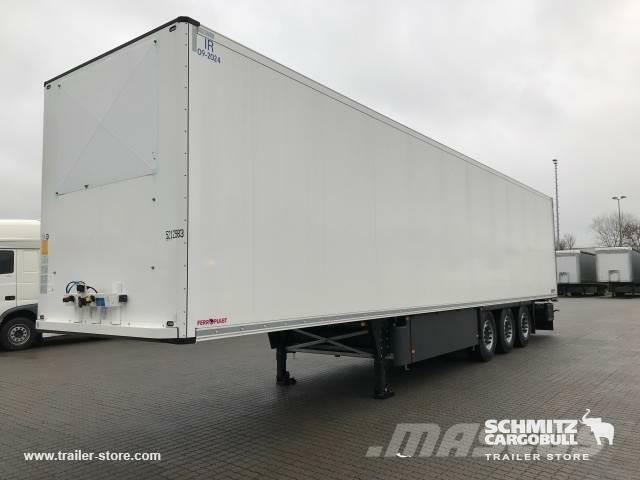 Ostale informacije Tare weight: 8451kg, GVW: 35000kg, DIN EN 12642 (code XL) certificate, Loading area (L W H): 13,410 mm x 2,460 mm x 2,700 mmTyre size: 385/65 R22.5, Loading area volume: 89 m³, 1st axle: , 2nd axle: , 3rd axle: , Air suspension, Lift axle, Pallet box, Self-levelling suspension, Electronic Brake System EBS, Toolbox, Spare wheel carrier double, Bolted chassis, Barn doors, 1x15 and 2x7 pin plug, Antispray, Customs sealing capability, Please find an overview of all vehicles available on our website ... Finance required? We offer individual financing solutions, full service contracts and telematic-services. We would be glad to advise you personally.